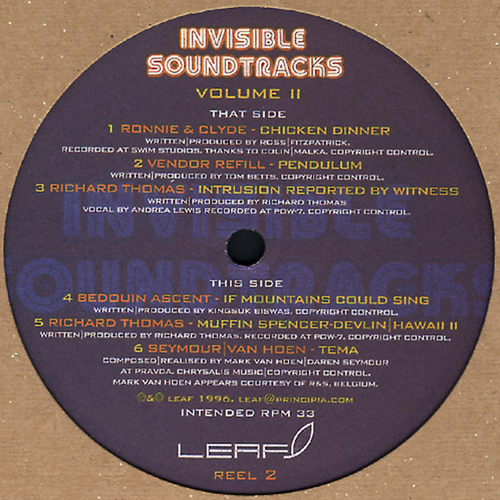 This is the second volume of Invisible Soundtracks, The Leaf Label's intermittent project that gathers strands of vistic sounds from eclectic, contemporary artists. Our aim is to harvest image-provoking tone-tales instead of simple abstract ambience. All tracks are recorded exclusively for this project.